Suzuki Swift Sport Running Costs, MPG, Economy, Reliability, Safety | What Car? 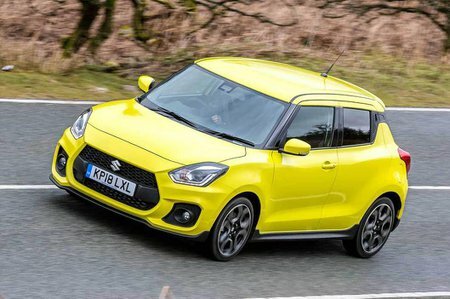 Suzuki would argue that the Swift Sport is a true competitor against cars such as the Ford Fiesta ST, Peugeot 208 GTi and DS 3 Performance. However, those cars are far more powerful and deliver a more focused driving experience. That said, perhaps the Swift Sport’s comprehensive list of standard kit will help the medicine go down. There is just one fully loaded trim level available that gives you access to sat-nav, Android Auto and Apple CarPlay smartphone mirroring, climate control, LED headlights, rear parking sensors, keyless entry/start and 17in alloy wheels. 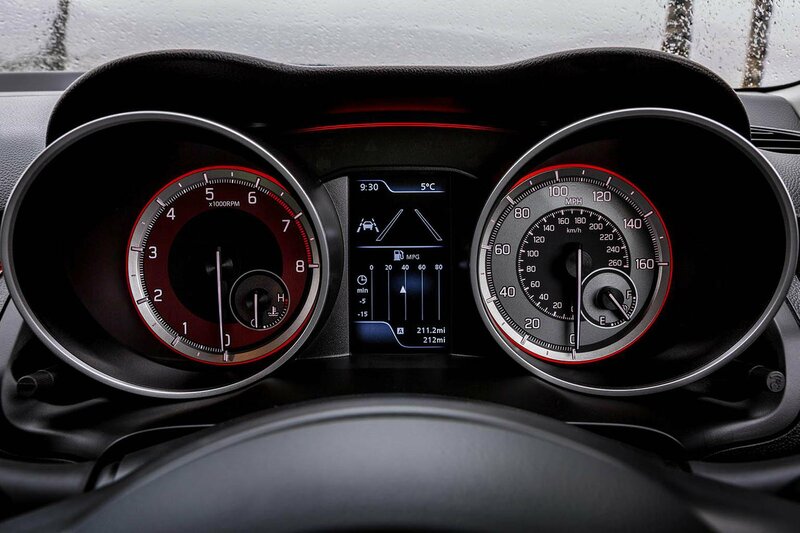 And for the safety-conscious among you, you’ll be pleased to hear that the Swift Sport comes with automatic emergency braking, lane-keep assist, a drowsiness monitor, radar cruise control and advanced forward pedestrian detection. This helps to lift the standard car’s rather shocking three-star Euro NCAP rating to a much more respectable four stars (regular Swift models in top-of-the-range SZ5 trim get these safety features as standard). 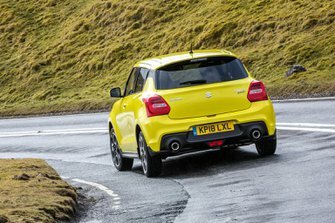 But is this kit list enough for the Swift Sport to command a significant premium over the equally talented, and arguably more rounded, Volkswagen Up GTI? We’re not so sure. On top of the higher list price, the Swift Sport is extremely expensive to insure and, despite its respectable 50.4mpg and 125g/km of CO2 output, the Up GTI betters this by a significant margin with 58.9mpg and 110g/km of CO2. That said, you can rest in the knowledge that Suzuki performed very well in our latest reliability survey, coming in fourth place out of 32 manufacturers. You’d therefore hope that the Swift Sport would be a dependable car, and it does come with a standard three-year, 60,000-mile warranty.